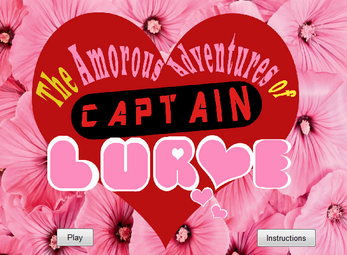 Originally made for a pitch, this is a demo for a rhythm game in which the Amorous Captain Lurve fights the forces of doubt and despair to help lovers everywhere. The game is not finished and is only really playable if you fudge it. Input intervals for the moves are a little wonky but hopefully you can see what I was going for. It's meant to play in the style of games like Harmoknight, Bit.trip Runner or Rhythm Heaven. Download the .exe and play. It's that simple!